If we told you we were sitting around you’d think we were being lazy( ha ha ha) well, to come clean we have been doing a lot of sitting around, but honestly it really has been all WORK WORK AND MORE WORK! We’re choosing chairs for our two new venues America Square and Hallam so we’ve been sitting on rather a lot of chairs of all shapes, sizes and very intrested colours over the past few months. 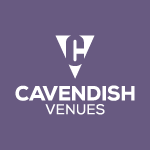 The things we have to do for your comfort is all part of the service at Cavendish Conference Venues.